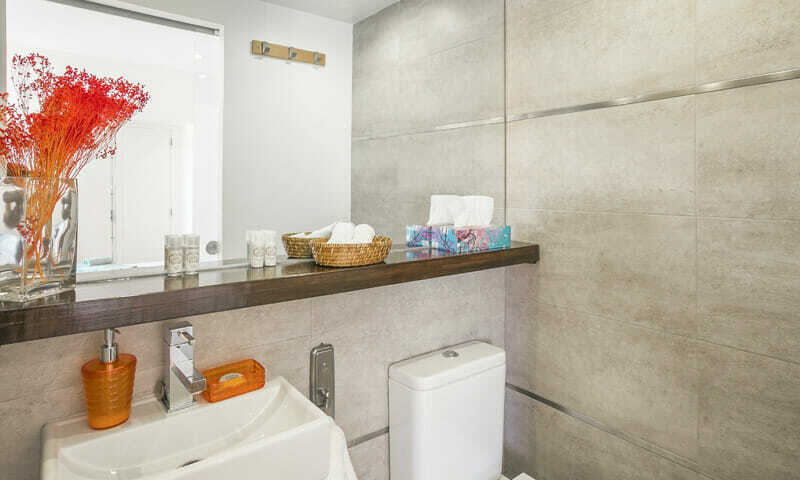 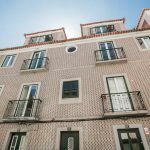 LV Premier PReal’s reference properties PI1 and PI2 are sister apartments located on the same floor – 3rd floor of a delightful early 1900s building in Rua Manuel Bernardes. 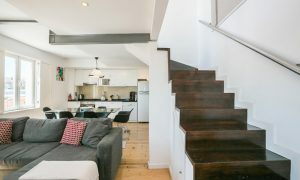 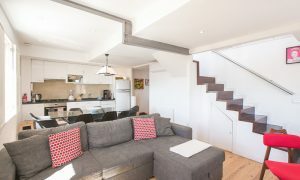 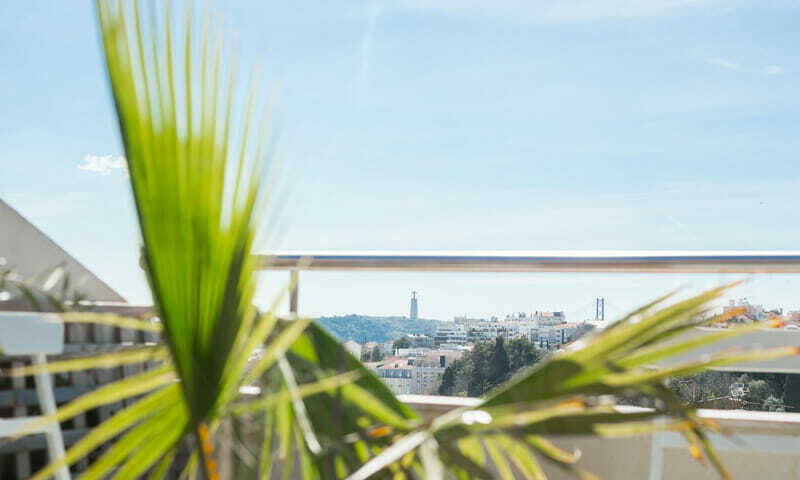 LV Premier PReal PI1 is a spacious 3 bedrooms, 2 bathroom duplex apartment featuring a lovely terrace with premium views of the city, the river and the bridge. 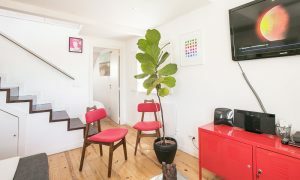 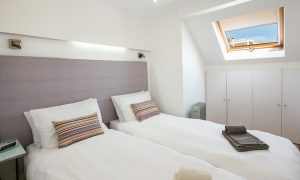 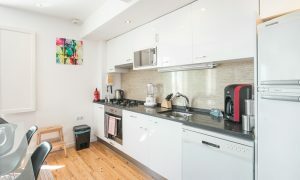 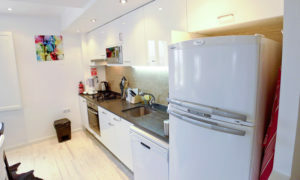 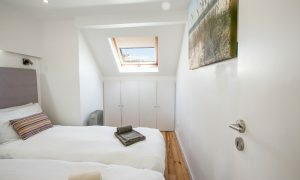 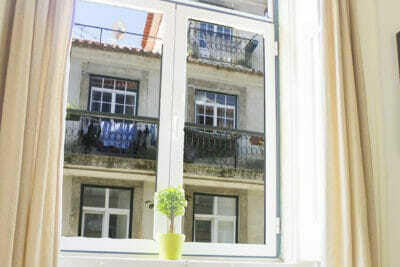 The apartment is fully equipped, has Air conditioned and heating, kitchenette, and a living room with great views. 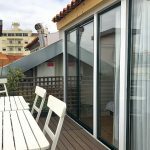 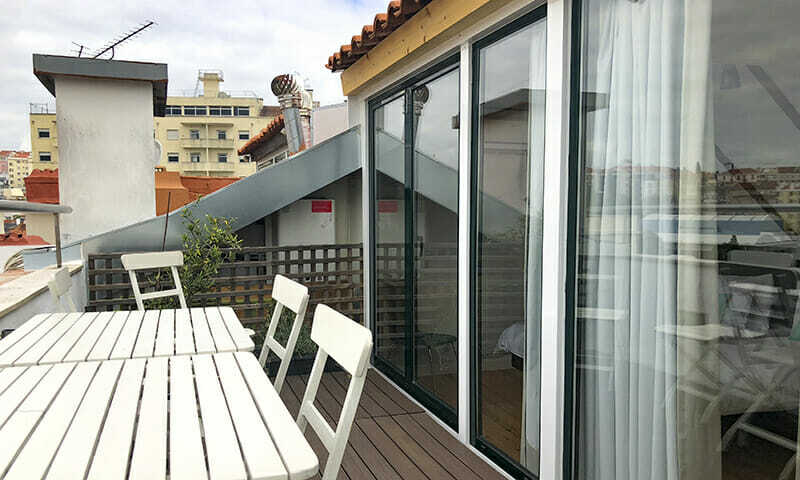 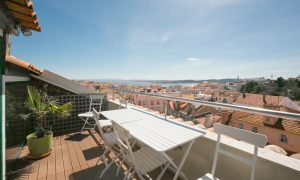 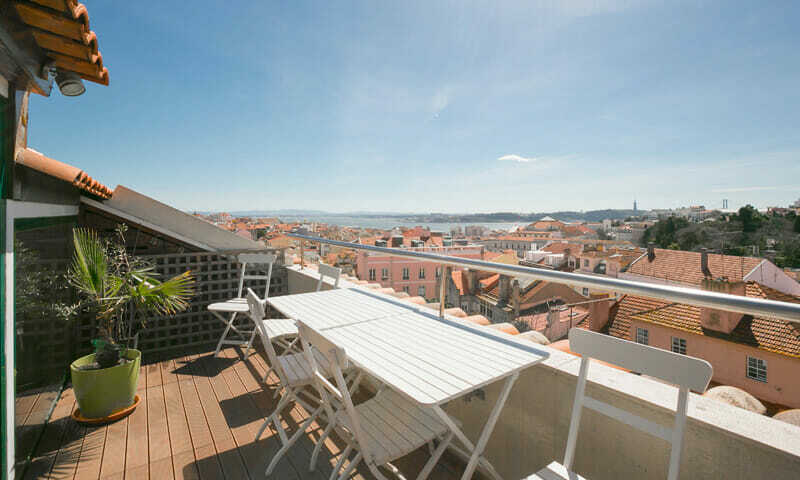 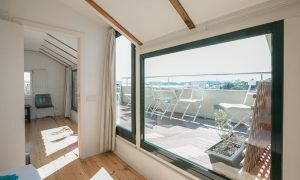 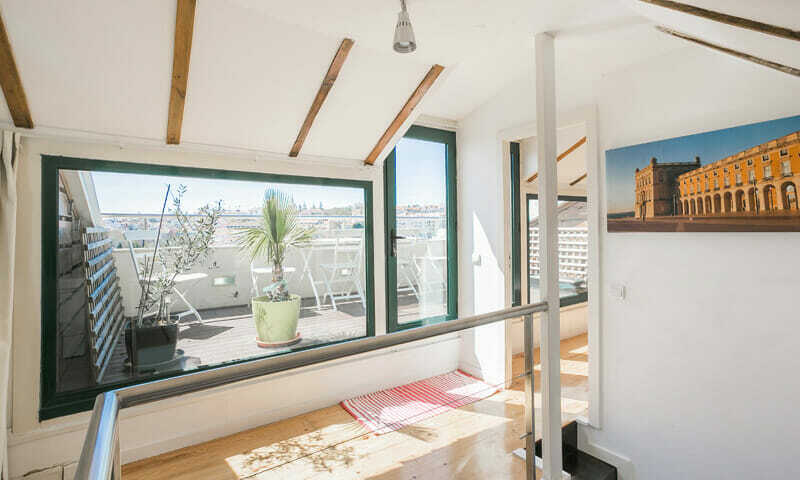 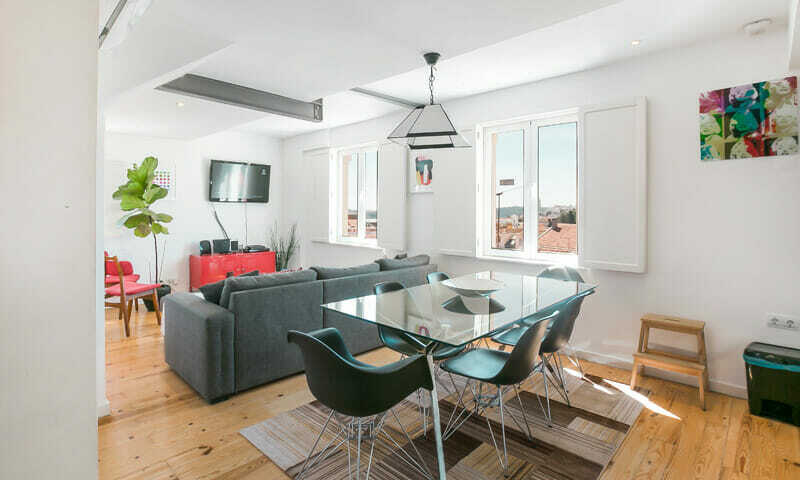 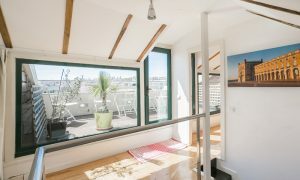 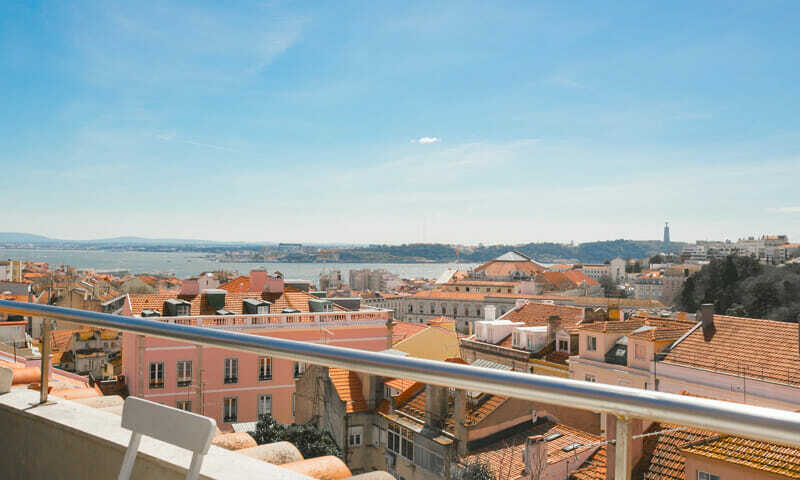 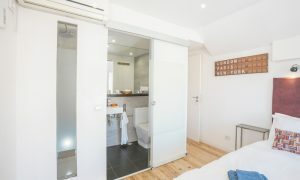 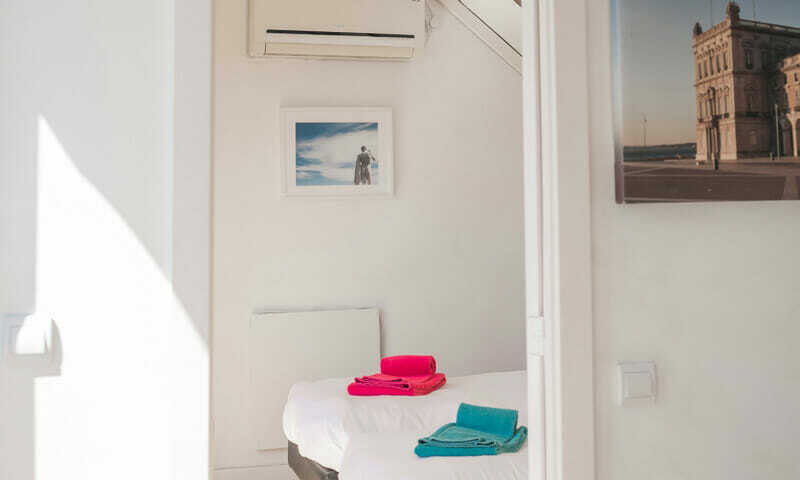 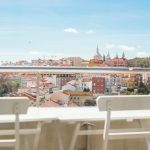 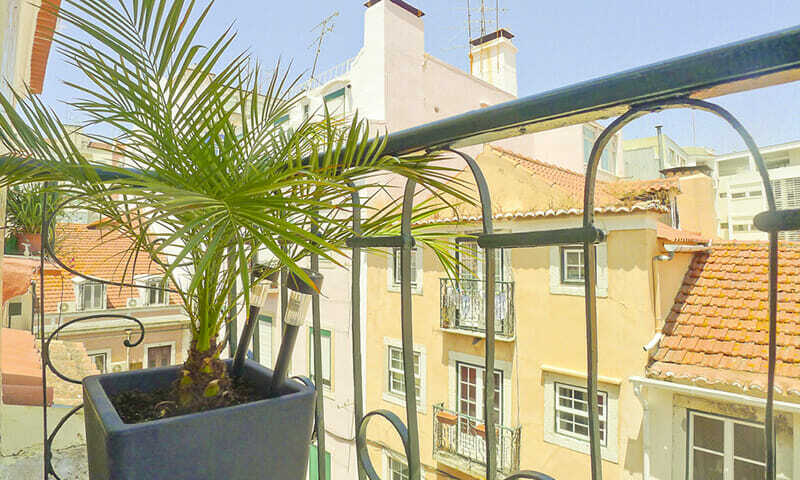 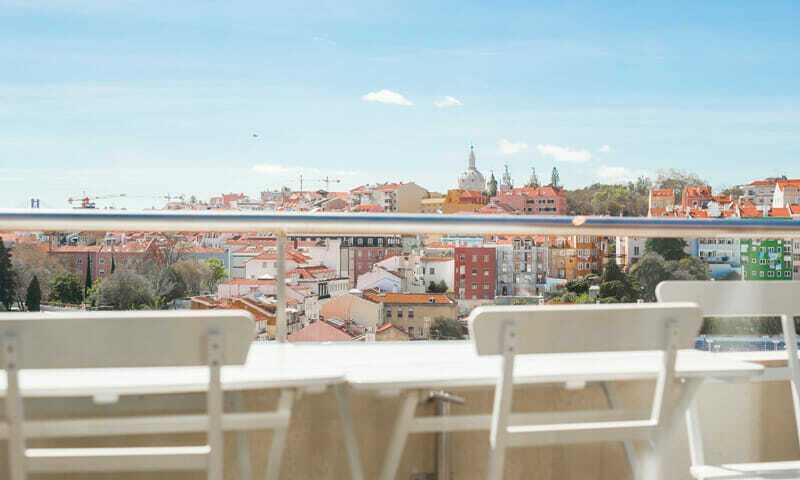 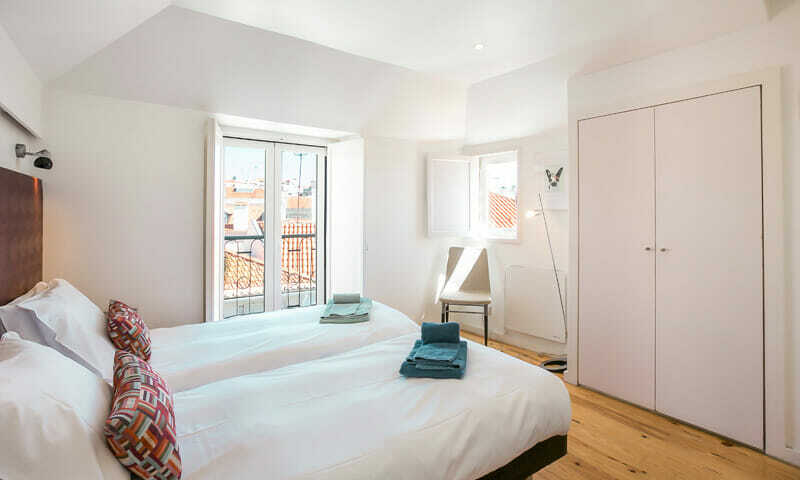 Close to all independent stores and restaurants in artsy Príncipe Real neighborhood, you will be minutes away from Bairro Alto and Avenida da Liberdade areas. 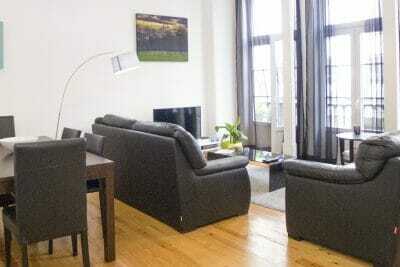 LV Premier PReal Apartments PI1 is a 3-bedroom vacation rental, has a great layout. 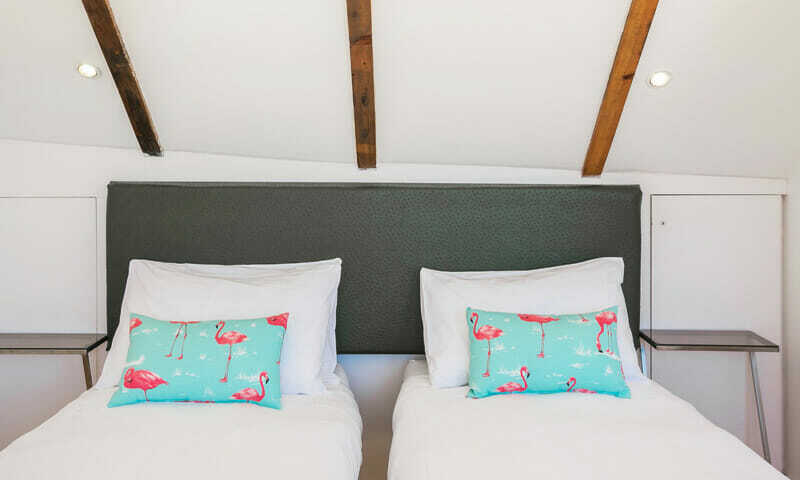 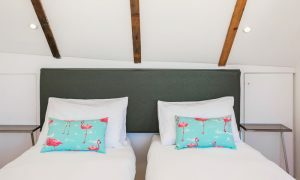 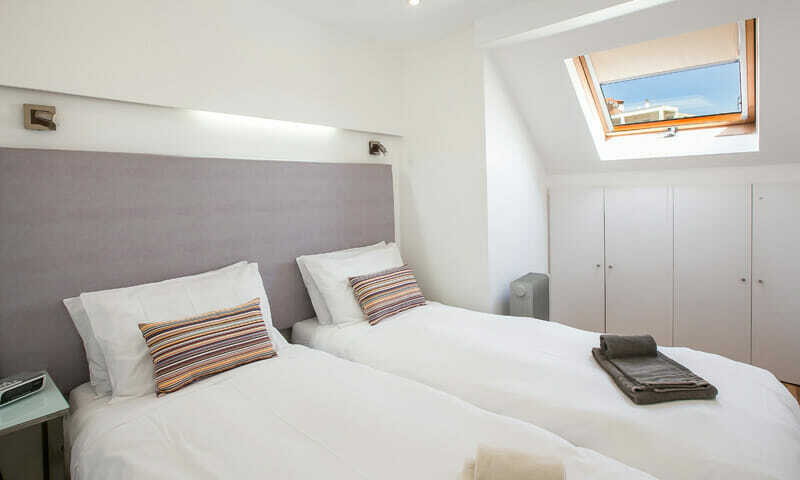 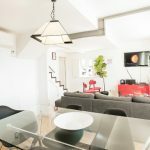 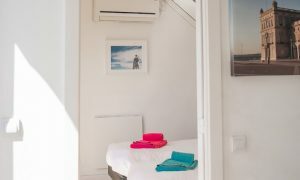 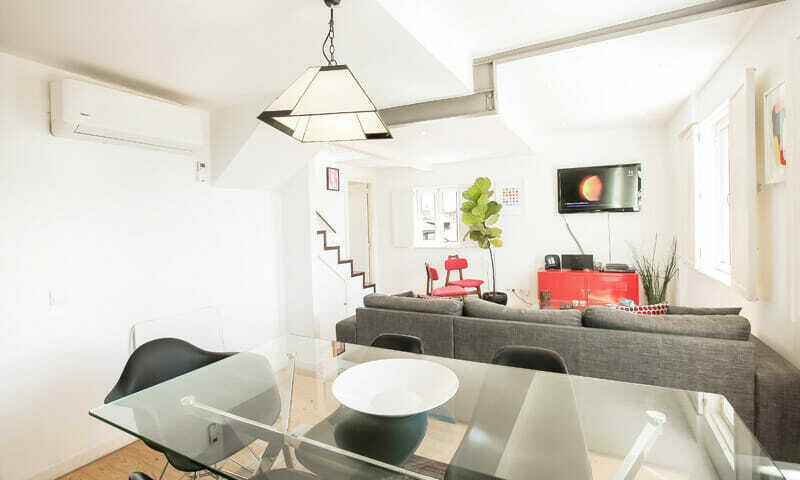 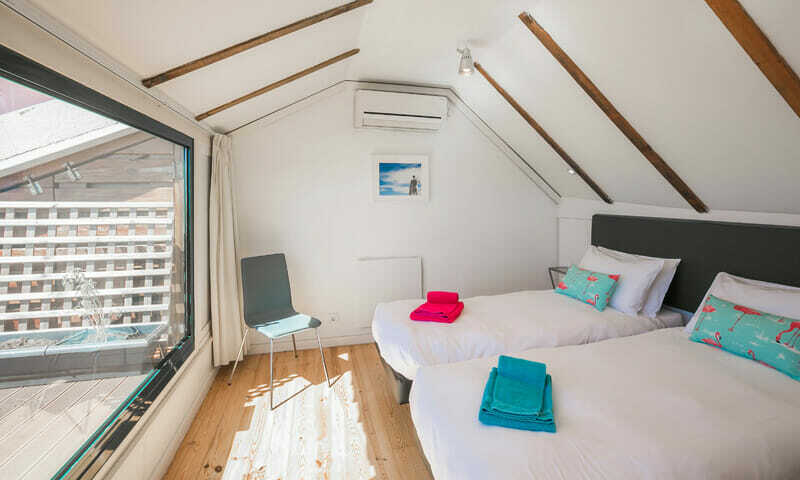 The main level has 2 bedrooms, living room and bathrooms, and the top floor has a private bedroom, access to the terrace and a small den. 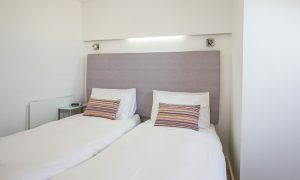 All bedrooms have signature LV Premier beds, crispy linen, soft duvets and new mattresses. 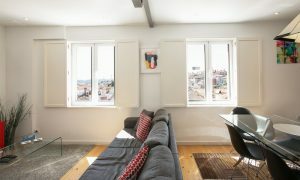 The living room is modern with a sofa bed, large TV and great views facing west. 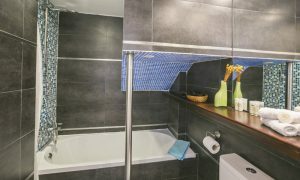 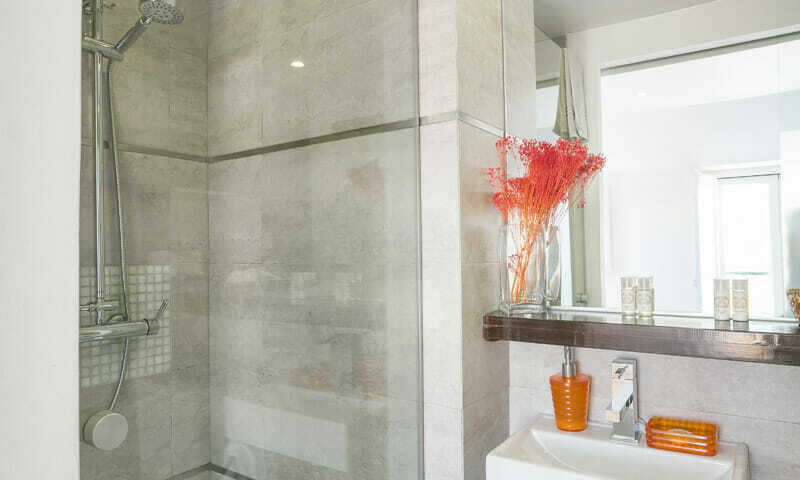 One of the 2 bathrooms has a bathtub, while the other has a shower enclosure. 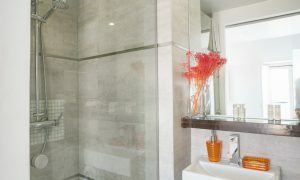 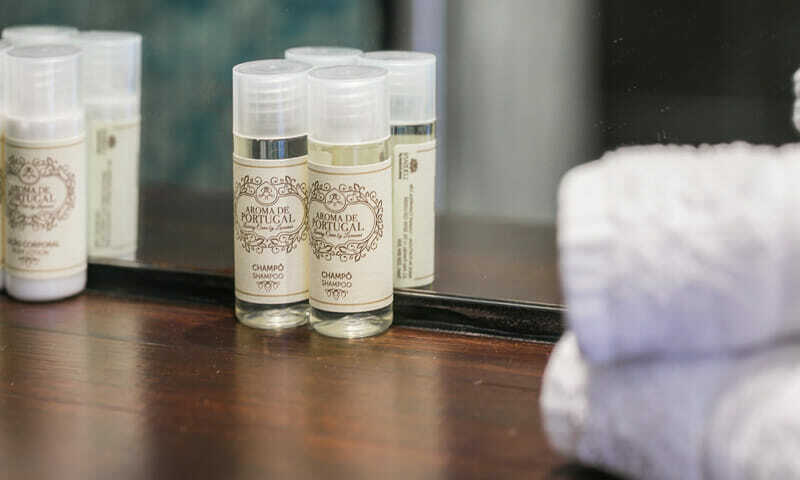  Soft bath towels, toiletries for your first day, and more are provided by LV Premier free of charge. The terrace is one of the best-liked premium features of the apartment and has patio furniture allowing you to enjoy a meal al fresco. Please note that the apartment is located on a third floor with easy to manage stairs but no elevator. 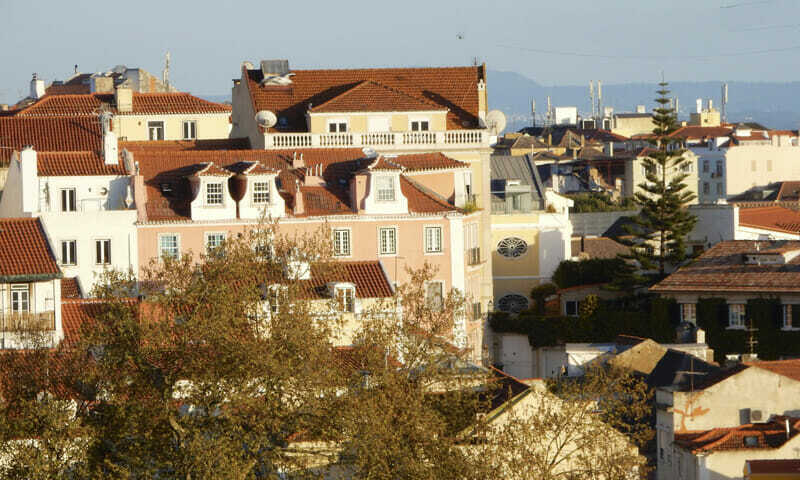 The district of Príncipe Real is located between Chiado /Bairro Alto and Marquês de Pombal/Avenida da Liberdade. 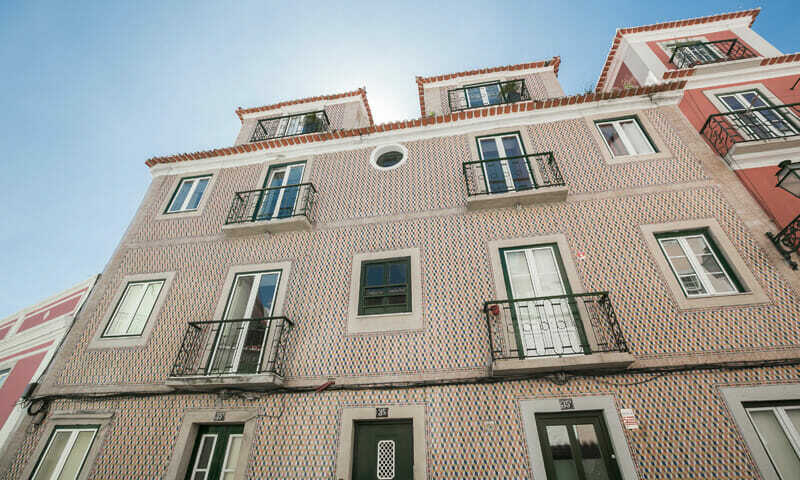 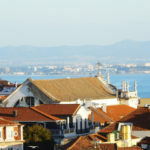 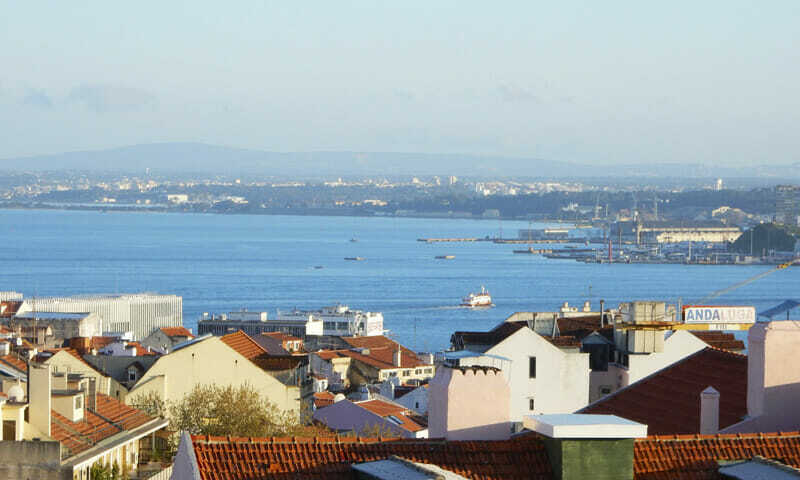 It is home to many artsy stores, an organic produce market on Saturdays, innovative and award wining restaurants – think Cevicheria and many Portuguese gourmet restaurants. 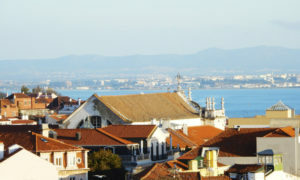 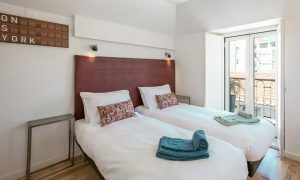 We are located close to the Botanical Garden, Science Museum, Parliament and Casa Amália Rodrigues the great Fado singer. 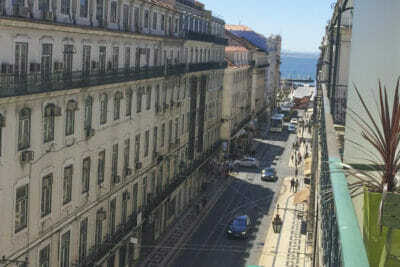 Plenty of bars and clubs can be found in the neighborhood, for gay and straight audiences alike. 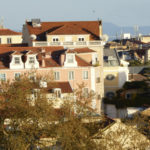 If you walk 10 minutes you can also reach Bairro Alto, the epicenter of the nightlife in Lisbon. 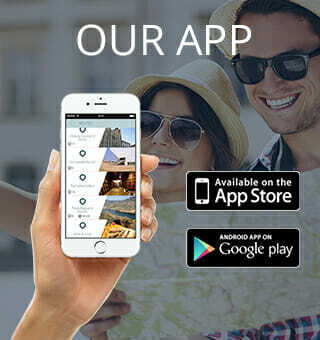 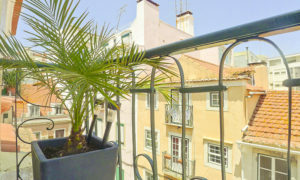 Some reference places such as Jardim do Príncipe Real, Jardim das Amoreiras, Praça das Flores and Praça da Alegria are all within easy reach.